Platinum Marketing Global has responded to a recent article that explores how aspiring entrepreneurs make the most productive professionals in the sales and marketing industry, actively encouraging these traits within their workforce. Platinum Marketing Global are strong advocates of hiring young entrepreneurs, providing them with the tools they need for self-growth. 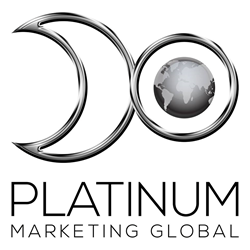 Platinum Marketing Global is Jacksonville’s most dynamic sales and marketing firm, with a variety of high profile clients, the company specializes in face-to-face marketing solutions. The business has seen rapid growth over the past year that is only set to increase. The company places this in part to its aspiring entrepreneurial workforce. Platinum Marketing Global continues to explain why they believe budding entrepreneurs make up the strongest workforce. Entrepreneurs do not like to be micromanaged: Platinum Marketing Global understands that young entrepreneurs need the opportunity to explore and grow. The firm is a strong advocate of providing guidance, but letting young professionals explore the industry to learn and develop their skills, believing the sales and marketing industry to be perfect for such opportunities for self-growth and development that entrepreneurs crave. Entrepreneurs thrive to excel: Platinum Marketing Global recognizes the fact that entrepreneurial individuals want to progress, and will put in the effort and time to ensure this is achieved. An entrepreneurial personality denotes dedication and an eagerness to learn, traits the firm recognizes as vital when recruiting for their dynamic workforce. Entrepreneurs are not afraid to take risks: The firm is keen to encourage its young professionals to take the occasional chance. Taking risks provides an opportunity for education, young professionals can learn from experience. The firm has found that those who consider themselves entrepreneurs are more likely to take professional risks as they are keen to learn from the results. Platinum Marketing Global are strong advocates of hiring young entrepreneurs, providing them with the tools they need for self-growth. The firm has found entrepreneurs to be the most dedicated and dynamic individuals, with a high work ethic and determination to excel in their professional lives. The business is urging other companies to hire those with entrepreneurial traits, as they believe they are the best candidates in the sales and marketing industry.